Save Professor Cinnamon! 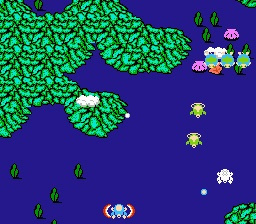 When aliens from the planet Attackon kidnap the inventor during their invasion of Earth, two TwinBee Stinger jets (armed with boxing gloves) are unleashed to rescue Cinnamon before the aliens turn the Earth into a giant ball of cotton candy! 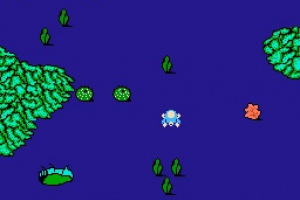 In this vertical and horizontal scrolling shooter, blast away unusual creatures and even more bizarre bosses, while collecting power-ups and super weapons. 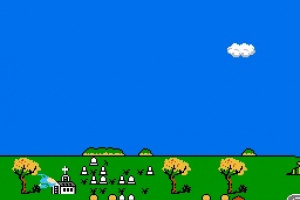 By repeatedly shooting bells that come out of the clouds, these bells will change colors, each color giving a different ability. 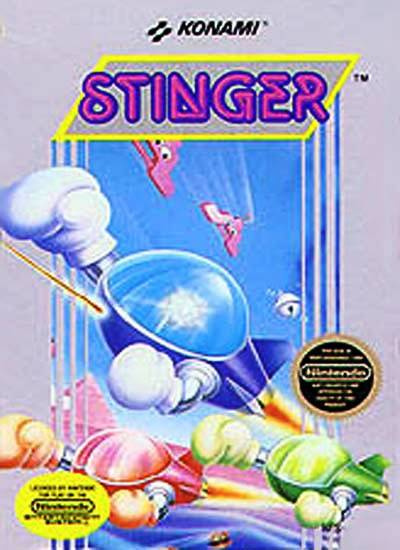 Getting shot down releases a ghost of Stinger, which can be recollected to gain the jet's powers back. Oh, my goodness. 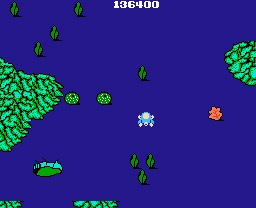 This is the one TwinBee title that was actually released in the US way back when, from what I've looked up! Wow, never heard of it! 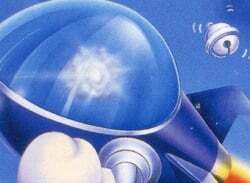 How come this isn't even on the PSP Twinbee collection? I always wanted this, but could never find a copy. I remember seeing the ad in a Fanastic Four comic book. Vertical and horizontal scrolling? Does that mean that this game is like the TwinBee version of Salamander/LifeForce, more or less? 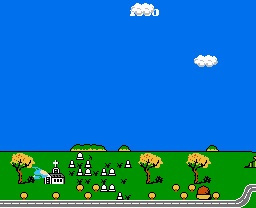 I had this game years ago and while hard, it's fair and damn fun with all the gags in it that are the enemies themselves. Rotten shame Konami got dumber as the years went on releasing less and less diverse stuff. 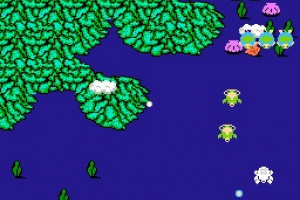 I think Twinbee could have been something in our market.